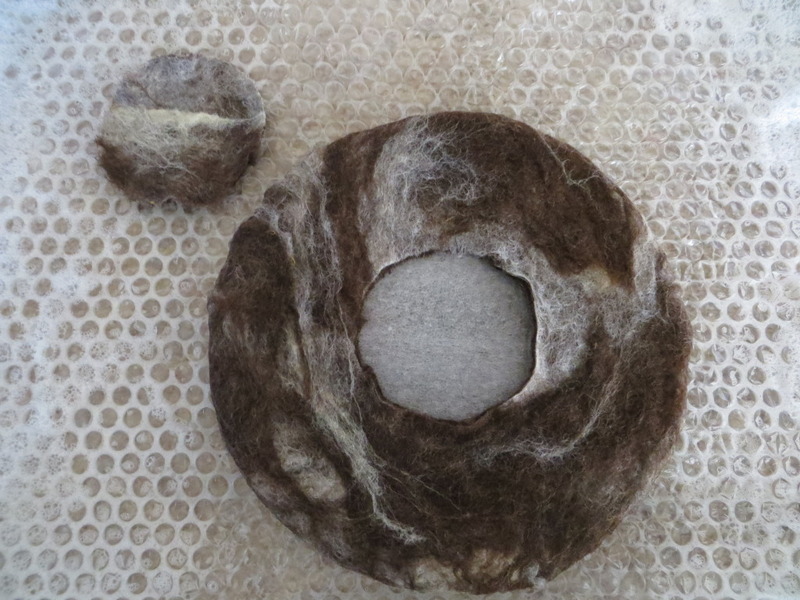 Here’s my first wool BOWL! 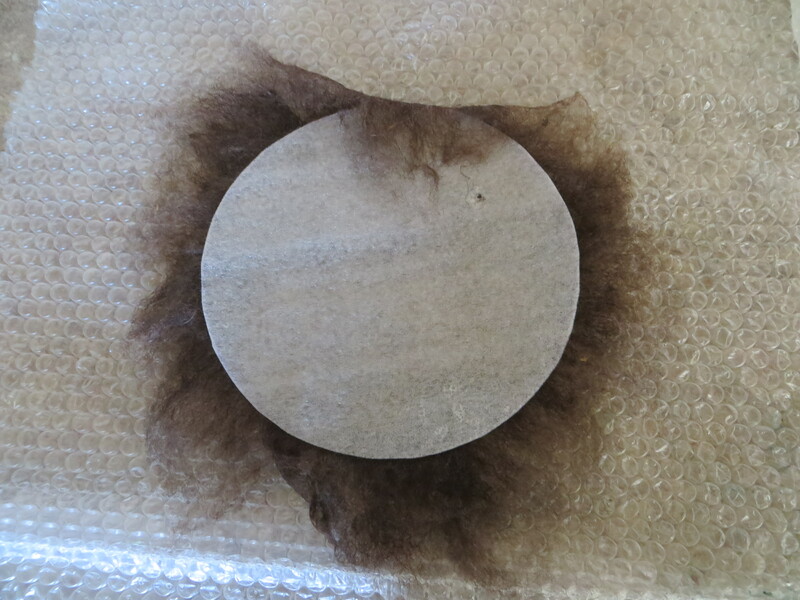 I cut a resist from some soft plastic (floor underlayment) about 5″ across. 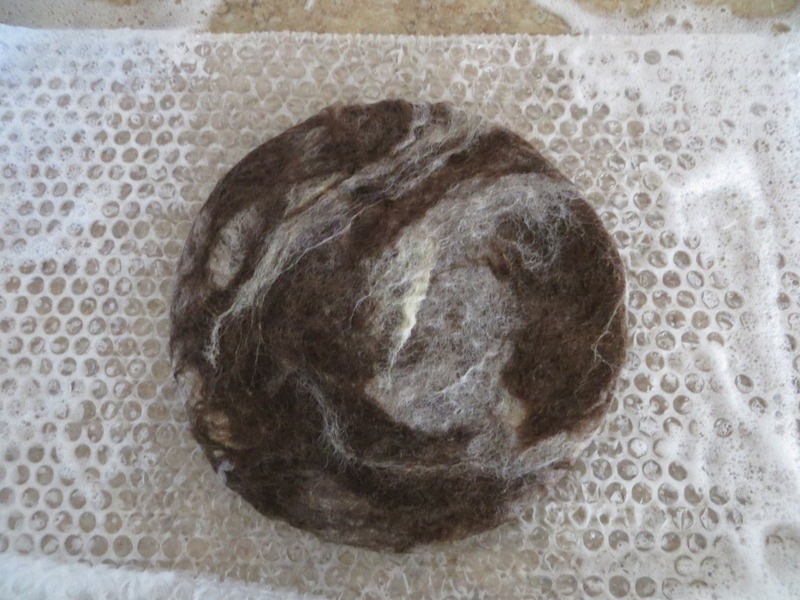 I began to layer wool roving under and over it, each time changing the direction of the roving, and pulling the excess around the edges onto the other side. Although it *looks* like I cut clear through, I didn’t… I only cut an opening for the top of my flat bowl. It is the resist you see in the hole. Pull it out, run some hot soapy water, and rub and rub and beat and rub. It shrinks, it thickens, you shape it, and finally, voila! 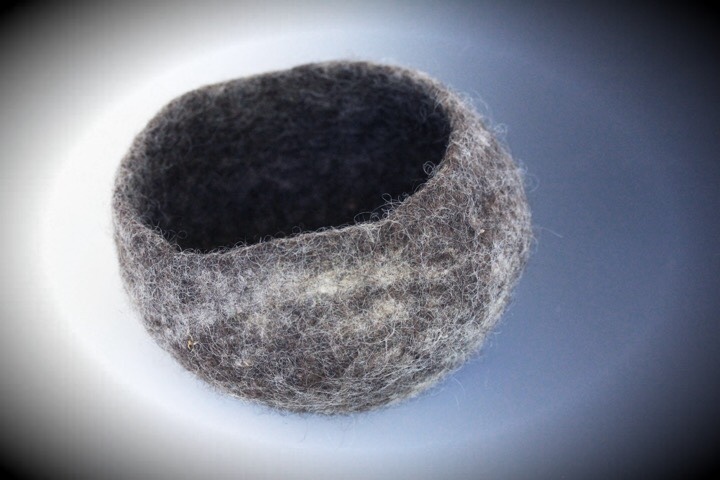 A simple little bowl, perfect for car keys or a special treasure, given as a gift to a Friend! Neat idea! I love it!! WOW!!!!! How awesome. One lucky friend. Yes, this is way cool!